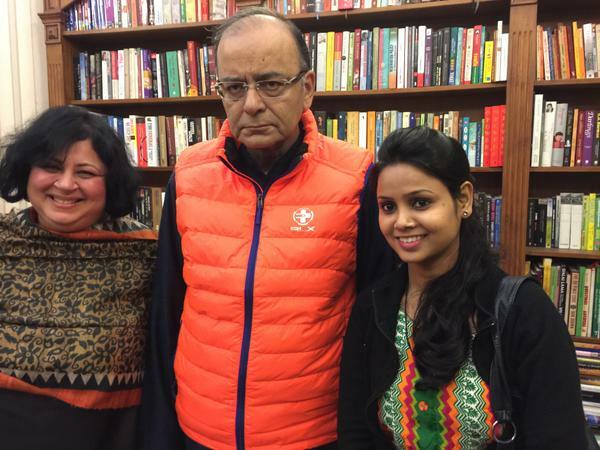 Asha Student Ambassador Usha and I were honoured to meet the Hon’ble Finance Minister of India, Mr Arun Jaitley on Saturday, 17 January. I introduced him to the work of Asha, particularly the Financial Inclusion and Higher Education programmes, and how they have impacted thousands of individuals over the years. Usha also explained her background and achievements, and said that she represented thousands of Asha students with similar backgrounds as she stood before him. She presented him with a gift on behalf of all the students that was graciously accepted by him. We also invited him to be the Chief Guest at Asha’s Celebration of Learning 2015, to which he agreed. Mr Jaitley promised all help and support, and it was decided that the function would be held in either March or April 2015. His office would soon be in touch with a proposed date. Roshan bagh dyalbagh agra u.p.